I just finished rereading Malcolm Gladwell’s The Tipping Point. Sigh. 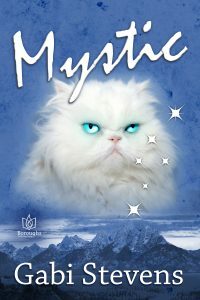 I have never reached the tipping point with any of my novels. At some point you have to believe that it’s you and not just luck. 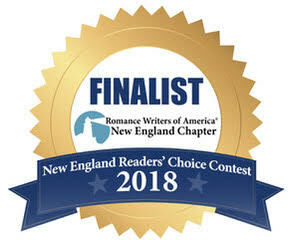 Even though my writing has won awards and contests –heck, I’m up for the New England Reader’s Choice award with Mystic (two weeks from now)– I can’t seem to break out. And it doesn’t help that I see an acquaintance get excited about her first book. It has reached number four on some YA list. I’m am truly thrilled for her. Really. I am also wondering what the heck she did or didn’t do to get such word of mouth about her first book. I can’t get such reception on book fourteen! Am I whinging? Perhaps. But as I said above, at some point you have to believe it’s your writing. You’d think that if you were truly good, people would have discovered you by now. I just don’t seem to generate word of mouth. When I read a book I love I talk about it–to friends, on social media, in lists. I’ve talked about Ready Player One and Theft of Swords. I’ve loaned out my copy of The Guernsey Literary and Potato Peel Pie Society until a friend spilled coffee on it and had to replace it for me. I’ve taught Dandelion Wine and bought From the Mixed up Files of Mrs. Basil E Frankweiler for my kids and will buy it again for my grandkids should I ever have any. I have recommended Jennifer Crusie and Julia Quinn when people claim romance is mindless. You want a scare? And Then There Were None. I don’t claim literary genius, a case I can make for the above books. However, I don’t even seem to touch or reach the mavens (see The Tipping Point). Do your favorite authors, or even the ones you just enjoyed, a favor. Become a mini maven. Leave a review at Amazon, B&N, or Goodreads, or wherever. Or tell a friend or twenty. Or tweet about it. Or whatever. Or send the author a note. That can make an author’s day. But word of mouth helps. It’s still the best way to build readership, and no one really knows how to create word of mouth except to write the best book you can. Hope this wasn’t too self-centered and self-pitying.